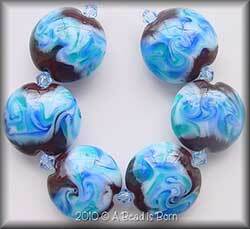 Confession...I'm addicted to handmade lampwork glass beads. Why, you ask? Oh my goodness where do I begin?!? Each one is a beautiful little work of art lovingly handmade with the utmost amount of skill...and patience! Lampworking, more specifically Lampwork Beadmaking, involves using a gas-fueled torch to melt rods of glass and shape them into beads using tools, hand movements and gravity. 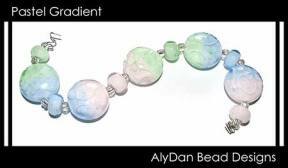 The artist starts with a metal mandrel coated with a bead release powder, selects the colored glass rod(s) and then the magic begins. 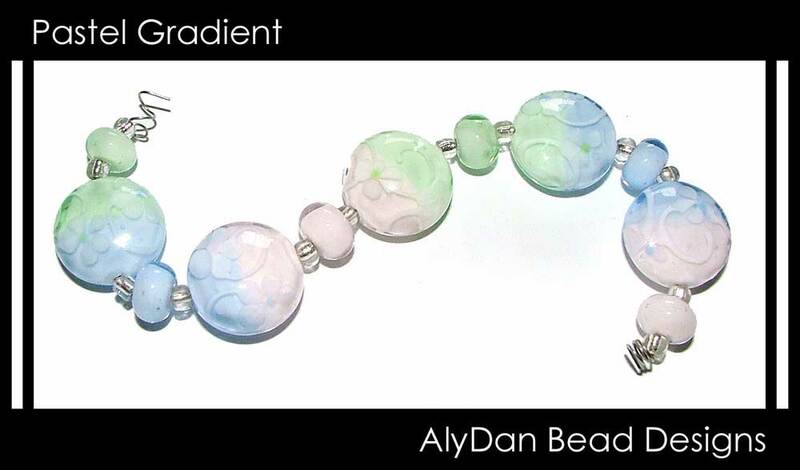 The glass is heated until molten then wound around the mandrel forming the bead base. Once the base is done, it can be decorated using a variety of techniques and materials. Once finished, the bead is annealed for strength and durability. Beads are placed in a kiln, heated to and temporarily soaked at a specific temperature depending on the type of glass, then allowed to cool slowly eliminating the internal stress that causes glass to crack with small changes in temperature or other shocks. This annealing process truly sets handmade lampwork apart. 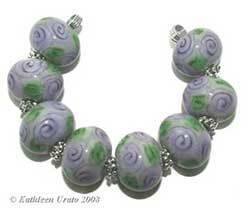 Mass-produced lampwork beads do not go through this process and are more prone to easily break. 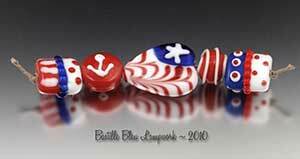 All the variables in the lampworking process ~ glass colors and types, bead shapes, tools, artists' talent and preferred embellishment methods ~ are the reason these small pieces of art are unique and quite often, one of a kind pieces. Let's look at some, shall we? 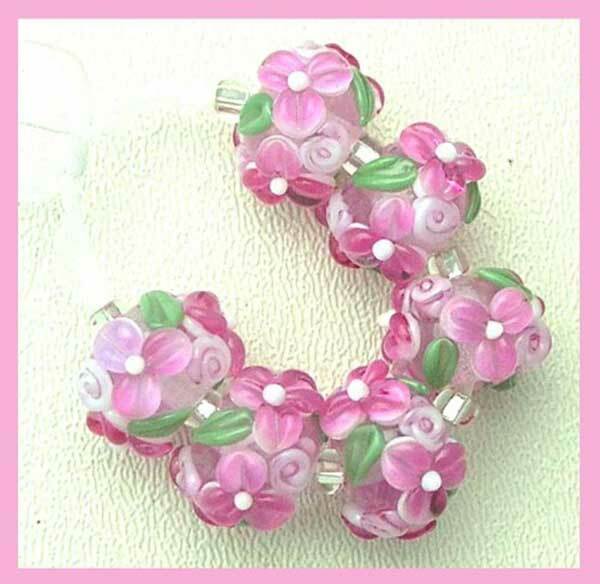 I do genuinely love using their beads. 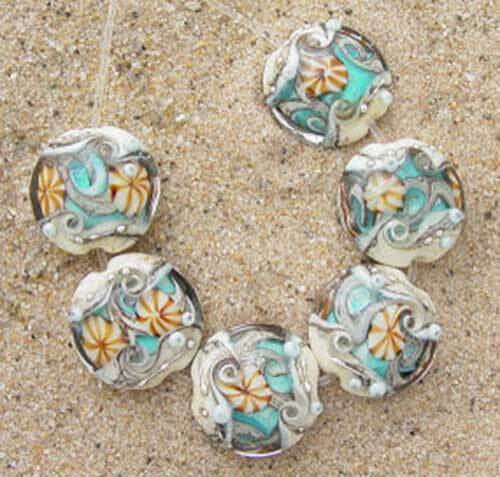 They add to the uniqueness of my jewelry. I take a one of a kind set of beads made by these artists, use them in a one of a kind set of jewelry handcrafted by me and what do you have? 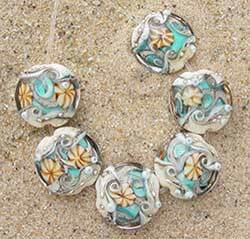 A chance to express your personality and individuality with beautiful jewelry that no one but you will ever have! 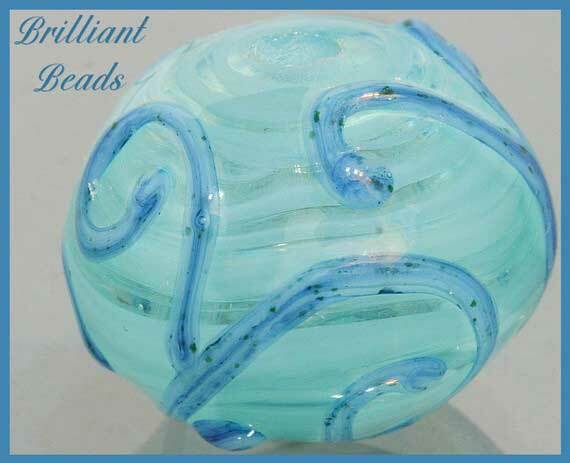 I could fill an entire website raving about these glass artists and showing photos of their beads. They're a talented bunch! I appreciate all the time and effort that goes into their work and I want to showcase their talent. So I've decided to extend an invitation for them to come over, write about themselves and show us some of their work. I hope you enjoy their pages. 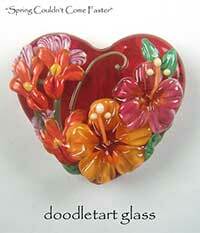 Are You a Lampwork Glass Artist? Would you like to share some photos of your work? Great! 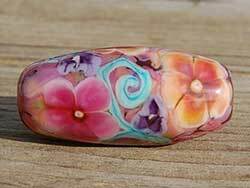 We love lampwork eye candy! Click the button and find the first one on your computer. Select it and click on the button to choose it. 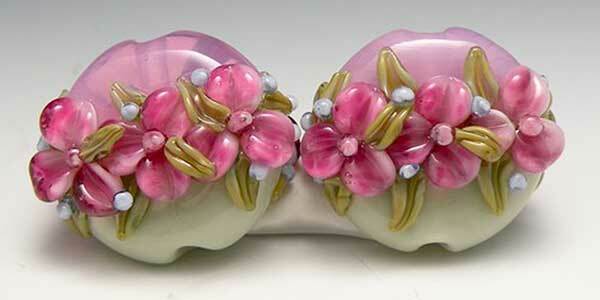 Want to Meet Some of the Most Talented Lampwork Glass Artists in the World?